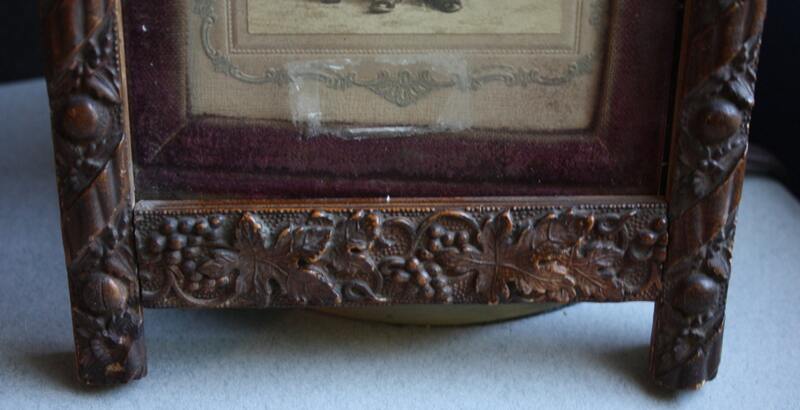 This antique wood with carved thermoplastic (similar to gutta percha) overlay frame has an Art Nouveau grape vine motif. 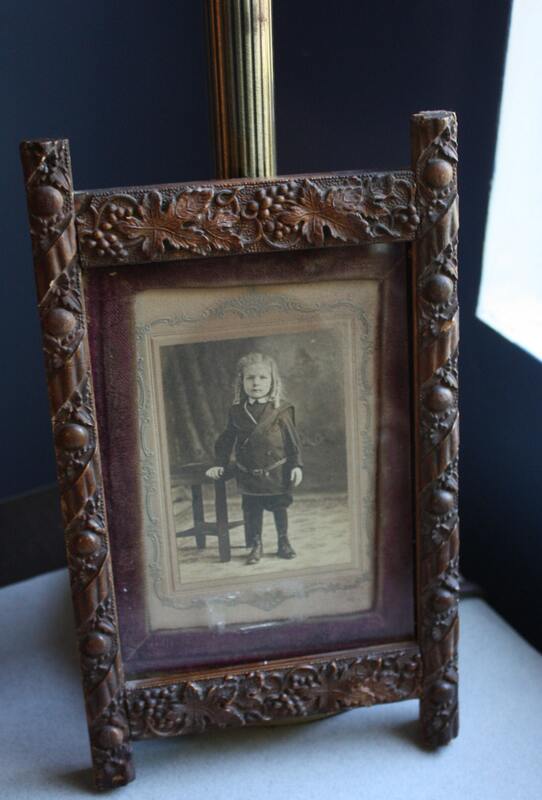 Thank you to http://www.antiqueframes8x10.com/frames4.html for the valuable information on antique picture frames. There is a metal loop hanger on the top portion on the back of the frame. 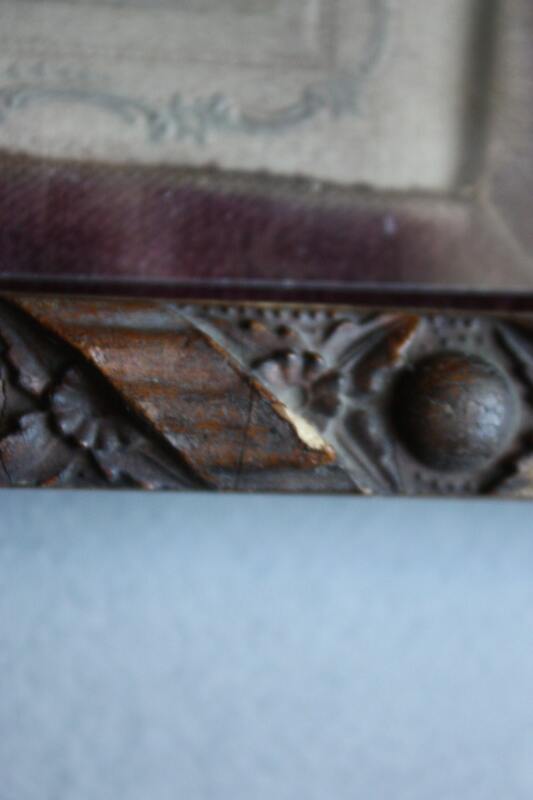 Please note the photos for condition of the frame. There are some chips. If you'd like to see more photographs, please do let me know as I'll be happy to oblige. Based on the boy's clothes and shoes as well as his hairstyle, I am estimating that the photo, surrounded by a velvet border, is circa 1890 and a silver gelatin print, which was invented at the end of the 19th century. Some silvering of the photograph is evident as well. The photo and velvet are not completely straight, but I won't remove the back of the frame since it is nailed on and I prefer to leave this up to the new owner. Also, there is sticker residue on the front of the glass. I've worked on removing it and will continue to do this. The longest portions of the frame are the two portions on either side, and those are 10" each. 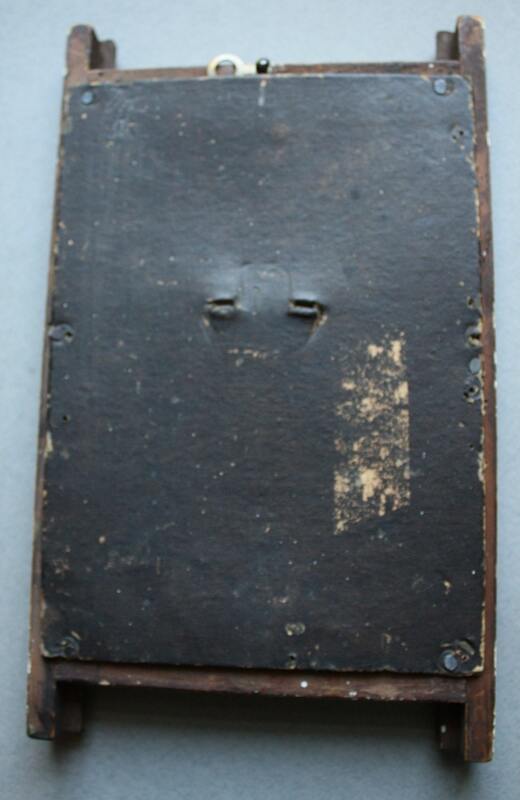 The width is 6" across. The inner portion (glass) is 6.50" x 4.75". **The lamp upon which the framed photo is leaning is not for sale. The price is only for the framed photograph.